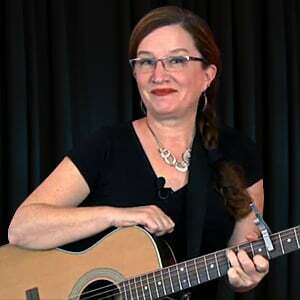 In this lesson, we'll use the concept of the "two chord", the "three chord", and the "six chord" to figure out what the minor chords are in the key of A. Fair warning: we are starting to get into keys now in which not all the chords are as friendly as the previous keys we have studied. Even if you can't yet make all these chords, it is important to understand what they are, and how they relate to the key of A. Turns out the minor chords in the key of A will work out to be Bm, C#m, and F#m. Agan, no need to master these yet. Just follow along and understand, and then we'll go on to learn a song that should not give you too much trouble (hint hint).